In the early 1970s Oppenheim moved away from these large productions, in which the artist played the role of project manager, to a more personal focus on the body. For example, ‘Stills from gingerbread man’ consists of film stills which documented a performance that overtly looked into the function of the body. Oppenheim first listed the ingredients, which he then used to make ginger-bread men. Having slowly eaten them, he had his intestinal tract emptied and samples of his faeces were placed on glass slides that were viewed under a microscope at magnifications of x280 to x300. 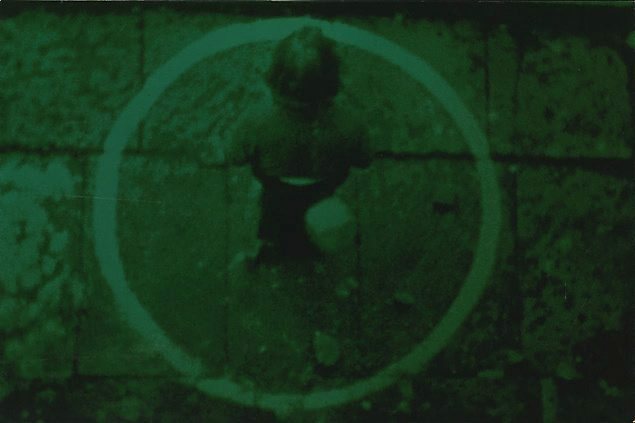 ‘Rocked circle – fear’ 1971 was another filmed action in which Oppenheim submitted himself to the ordeal of standing in a circle, 1.5 metres in diameter, while rocks were thrown at him from above and a camera focused on his face to document his expressions of fear. These works not only took the environment and the artist’s body as the subject of the work but also used them as its materials. It is a representational process that breaks down the boundary between a thing and its representation. 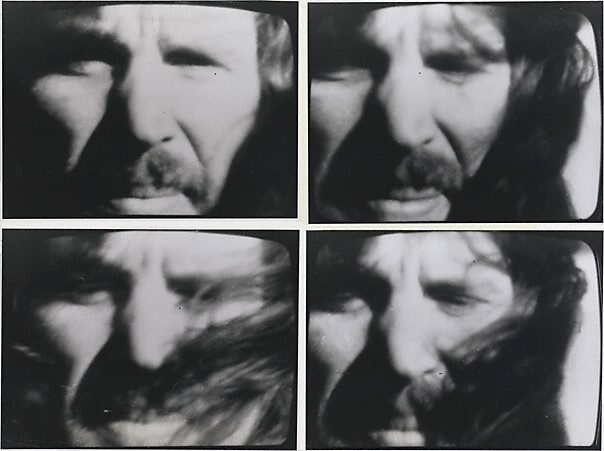 The performances often involved interaction with the viewers, making them responsible participants and thereby setting an agenda which permeated performance art over the next three decades.